Exploring the former Westinghouse Electric Building in East Cleveland, artist Dave Desimone stumbles upon hundreds of Kodak slides scattered across the floor amongst broken industrial debris. He assumes they are images related to the site. Upon scrutiny, he realizes they are in fact, remarkably out of place, family snapshots taken by Mrs. Debbie Ellen Shore, carefully catalogued by hand between1960 and1965. A voyeuristic curiosity is ignited, and questions arise. Why are these memories, painstakingly arranged, haphazardly discarded in an abandoned building? Gathering a roster of artists and friends, these questions are navigated by imagining and fabricating images, scenes, and literature based on fragments of information seen in the snapshots. 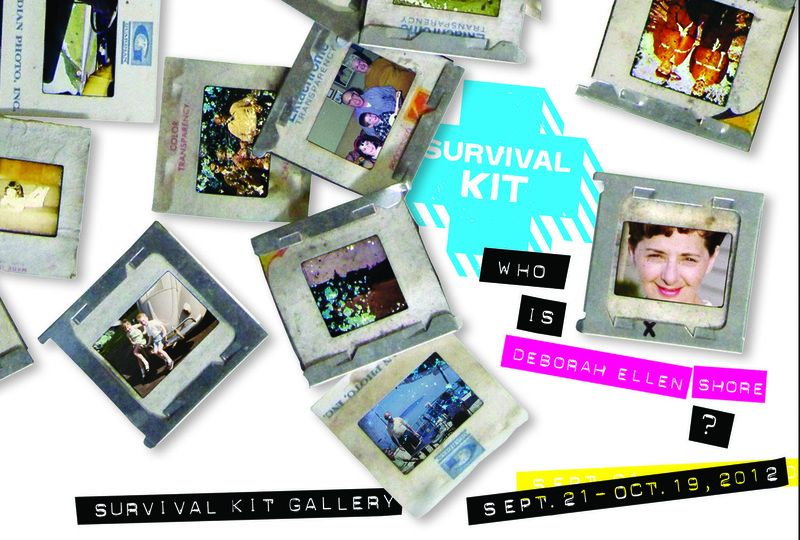 The group produces an exhibition that pays homage to a stranger, constructing an informed yet fictional narrative surrounding Debbie Ellen’s life. The final display becomes a cross between art exhibit, theater set, and hall of artifacts that feels simultaneously familiar and strange.